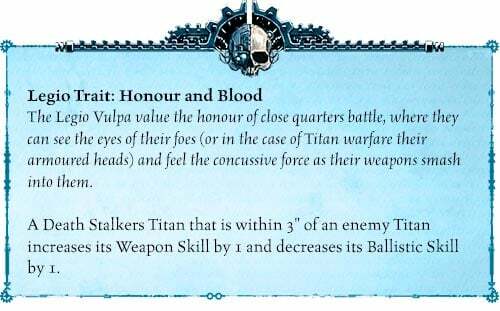 Adeptus Titanicus is in a pretty good spot balance wise now that all the Titan-classes are out. The addition of the new knights also helped add some more tactical depth to the game as well. 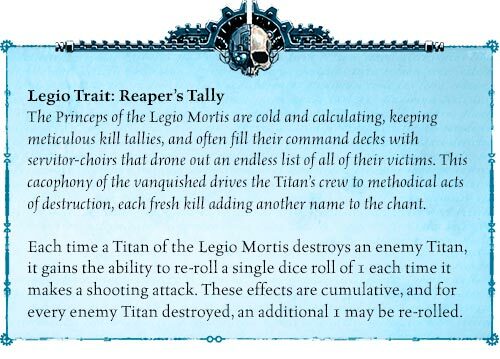 This weekend Games Workshop will be releasing Titandeath for pre-order and it’s looking to add a ton of new options for your legions of titans! 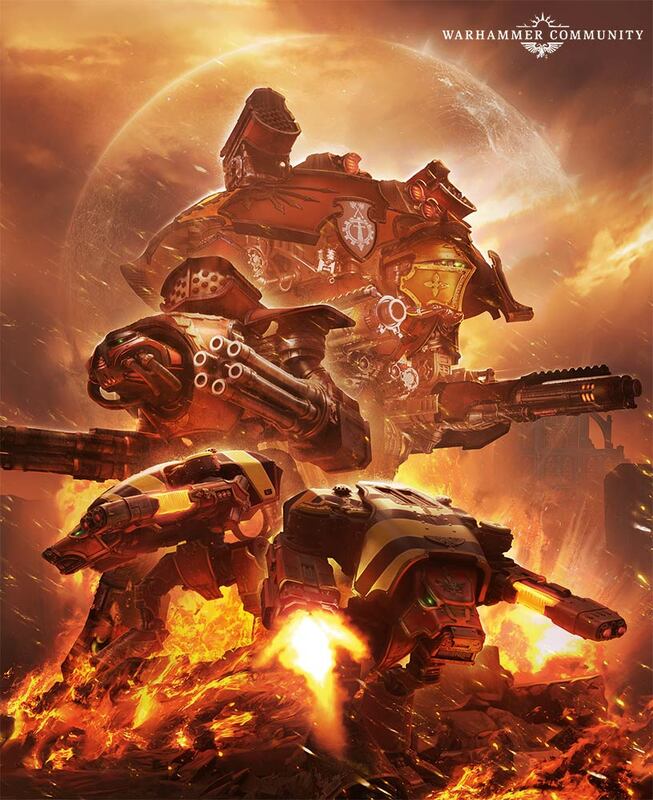 The first expansion for Adeptus Titanicus: The Horus Heresy – Titandeath – will be available to pre-order tomorrow, and in it, you’ll find no fewer than eight new sets of rules for different Titan Legions. 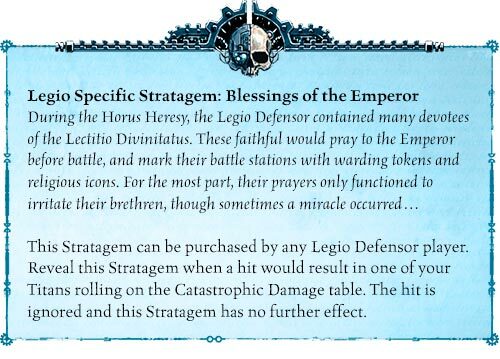 There will be 4 loyalist legions covered and each legion is getting it’s own set of rules including: Legion Traits, Stratagems, Wargear and a Personal Trait. These abilities and rules will help to shape what makes each of these legions different on the tabletop. 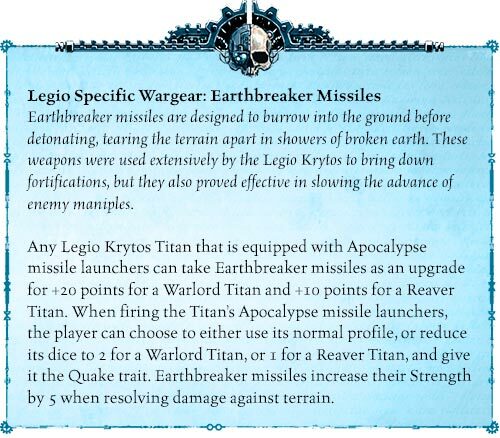 We got a glimpse of what this could be in the core book and now we’re getting a much clearer idea thanks to the new previews from Games Workshop. 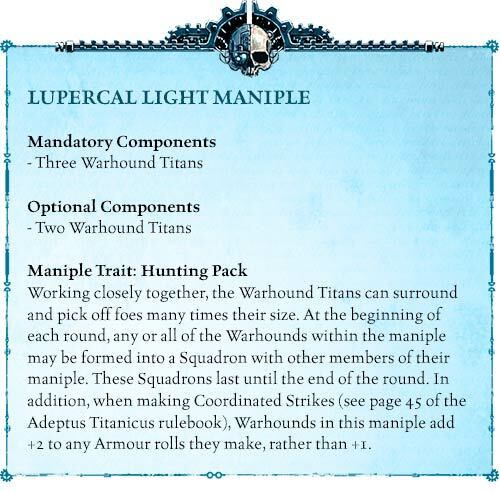 There will be 4 Traitor Legions also included in this book as well – and they are looking just as mean as their opponents. If you haven’t messed around with a Warhound Squadron you’re really missing out! This new maniple allows for some dirty tricks and specifically adds +2 to any Armor rolls instead of the normal +1. Titandeath is going live for Pre-Order this weekend – get ready to bring your Legions to Beta-Garmon and battle to the death!